The Congregation for the Causes of Saints has declared the “heroic virtue” of Mondragón cooperative founder and former JOC chaplain, Fr Jose Maria Arizmendiarretta, in one of seventeen decrees approved by Pope Francis for promulgation. Born in Markina, Spain on 22 April, 1915, Fr Arizmendiarrieta, was appointed in 1941 to the parish of Arrasate – Mondragón, a town in Spain’s Basque country, then experiencing widespread poverty and unemployment in the aftermath of the Spanish civil war. There he worked with young workers and students from the JOC and JEC movements, several of whom later became key figures in the development of the famous Mondragón worker cooperatives. In 1943 he set up the Escuela Profesional (technical college) open to all, which would over time end up constituting a breeding ground for managers, technicians and a skilled workforce for companies in the area, and above all for future co-operatives. In 1956, Fr Arizmendiarretta and five alumni of the college founded the first worker cooperative. The Mondragón cooperatives now include employ 74,000 people in 260 enterprises worldwide, earning annual revenue over 11 billion euros. 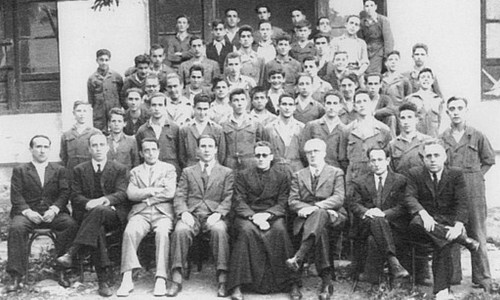 Fr Arizmendiarretta died in Mondragón on 29 November 1976.